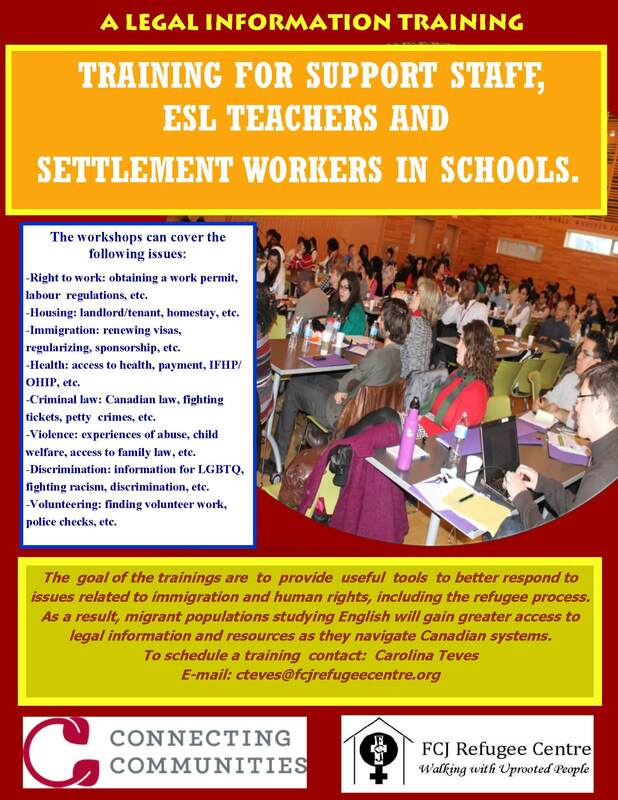 A legal information training for ESL teachers and settlement workers in schools across Ontario. Immigration: renewing visas, regularizing, sponsorship, etc. Health: access to health, payment, IFHP/OHIP, etc. Volunteering: finding volunteer work, police checks, etc. Criminal law (Canadian law, fighting tickets, petty crimes, etc. Violence (experiences of abuse, child welfare, access to family law, etc. Discrimination (information for LGBTQ, fighting racism, discrimination, etc. We can go to your location or you can join the trainings we provide at our office.